The Anzac Day centenary saw an afternoon of gradings at Aikido Republic as well as the opportunity to have a brief workshop with Sunter Sensei (Aikido in Sydney) on the research and development that he and James Sensei have been conducting over the last couple of years. It’s all about posture: No matter how often it is said I still find myself unconsciously dropping my head or shoulder and requiring external feedback to correct that (or some other) unconscious habit. When one has the correction and repeats the movement in the better frame then the improvement to technique is obvious. Hold with curiosity: It is more than just holding with commitment and more like holding so that the partner feels the hold through to their centre and therefore must work from their centre to create a response. That response is neither challenged nor simply followed (except by agreement between the partners) but curiosity implies the feeling of the nage taking the centre of the uke by moving their own centre into a set of extended spirals. Do less: When trying out these old/new approaches uke often finds him/herself on the mat and nage often feels they haven’t done enough. There is often mutual laughter – especially in a Sunter workshop! A contradictory thing is happening – nage feels that not enough technique has been applied but uke is surprised by the incredible lightness which leads them to the floor. So the tendency is to want more application. Sunter san will come past and say do less – or as one of my own students keeps telling himself: stop thinking! Each repetition must be an improvement: Our responsibility as uke is to help nage improve through full engagement and curiosity in the process. This should not be through lots of spoken feedback but through many repetitions with uke providing just the right amount of intensity and pace for nage. The sensei has given the instruction and the task is to see what the training pair can make of it. Don’t worry, soon enough the roles will be reversed and this mutuality is what you will be looking for to continue your own improvement. Oh, we have some aiki happening: Aikido is not the demonstration of technique and certainly not demonstration of superiority. It is the moment when uke fell down without knowing why and nage feels they didn’t do enough. There will be mutual laughter! 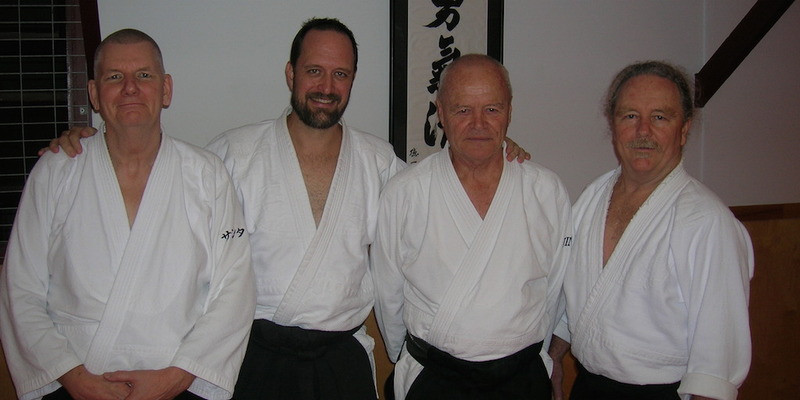 Our main purpose in Brisbane was to observe Susan Tweddell’s successful shodan grading. It was pleasing to see Susan embodying several of these aspects in her demonstration. It was equally pleasing to see Susan’s many colleagues and supporters there to witness the culmination of years of effort. Well done Susan. In the same session Michael Hitchcock and Meaghan Douglas performed very well at 4th Kyu and 2nd Kyu levels respectively. Thanks to the Aikido Republic team for putting on a very good event. Tony Neal Sensei has retired from teaching Aikido and has handed on his Liverpool Dojo in Sydney’s south-west to his students. We’d like to acknowledge Tony’s contribution to Ki Aikido in Australia. We look forward to the promised occasional visits in the future and further enjoyment of his appalling yet infectious sense of humour. Tony’s participation is never with a whimper, always with a bang. Tony began training in 1995 with Michael Stoopman at Griffith University. He soon became a key supporter of the Cleveland dojo and pretty much ran the club for head instructor Thom Hansen, bringing lots of enthusiasm, support and new students. Some of these, like Colin Staples, became long-term practitioners themselves. At the same time Tony was an enthusiastic supporter of Griffith Aikido as it transitioned from a dojo running three styles of aikido (Ki Society, Shinkondo and Aikido Yuishinkai). He was also a supporter of Steve Dows’s Coorparoo dojo and for a time Tony ran the Logan dojo. There was a 6 am class at Griffith in those days that attracted up to 15 people in part because of Tony’s enthusiasm. The after-class showers were something of a feature (but that’s a story best shared over a few drinks). One of Tony’s greatest achievements is the Capalaba dojo he established with Darren Cowles in 2002. Now known as the Onami dojo it is still running today. 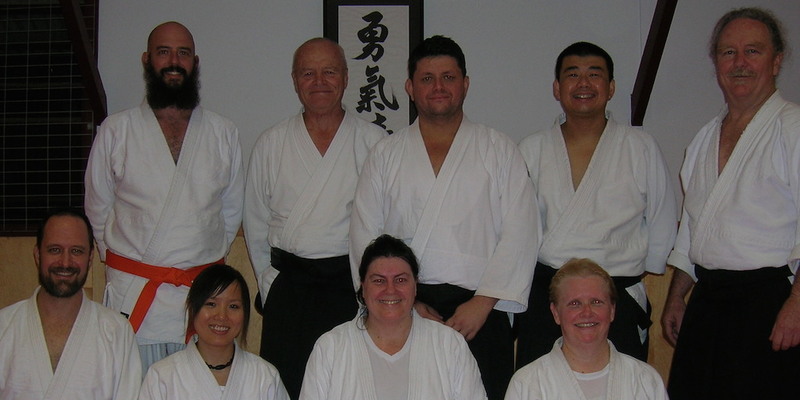 Tony relocated to Sydney and opened Aikido Liverpool in 2008. He has hosted numerous events and guest instructors in Sydney over the past seven years. 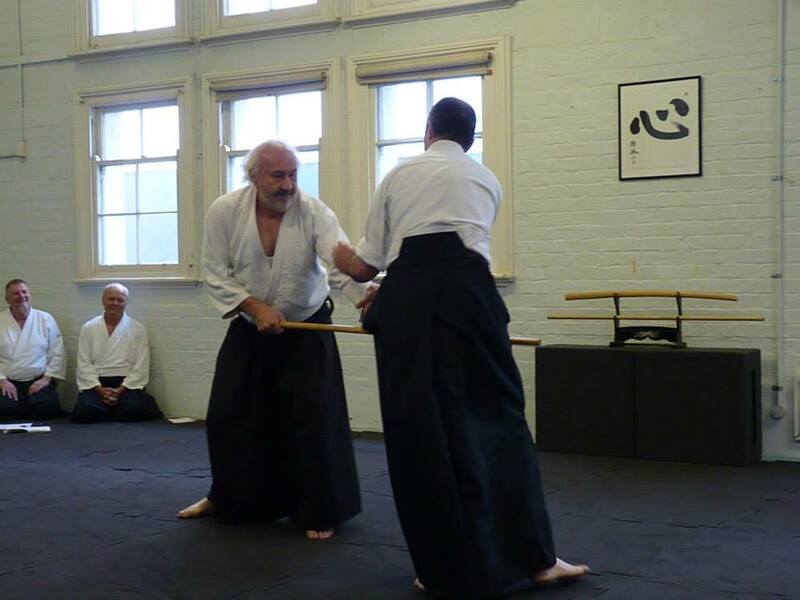 Tony has always been a wonderful supporter of the aikido community, often travelling long distances to attend seminars in Hobart, Perth and Hawaii, to name a few. He was a stalwart of Brisbane-based aikido seminars when he lived there, hosting both Williams Sensei and Maruyama Sensei. Tony initiated Bokkens on the Beach (Stradbroke Island) and ran it annually for several years, typically with Murray Loader instructing. He billed it as “Five star location, one star accommodation”. Tony never seeks the limelight but seems instead drawn to doing the jobs others might shirk, helping out with the practical side of things. He always does his best to present the gruff exterior of a boofy bloke but Tony’s actions reveal a man with a deep sense of justice, concern for society and the will to do something when he sees a need. Tony has been an informal mentor to many a young adult, helping them through rough patches with quiet generosity and raucous good humour. There are precious few who take such an unassuming role, quietly working in the background for the good of the art, many a dojo, and the individuals therein. Tony is a shihan in the art of life who always has a sneaky technique to spring upon the unwary on the mat.